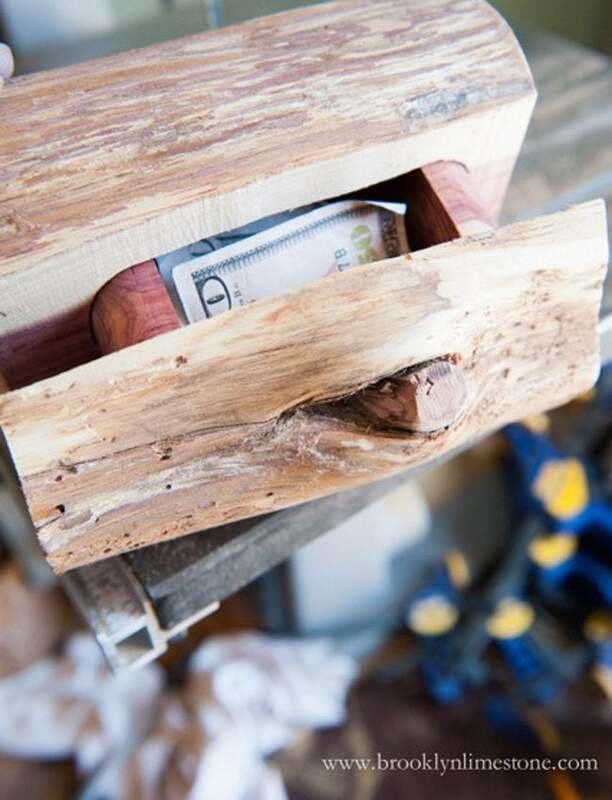 This adorable log box has a secret: It slides open to reveal a drawer that's ideal for hiding your little items in plain sight. 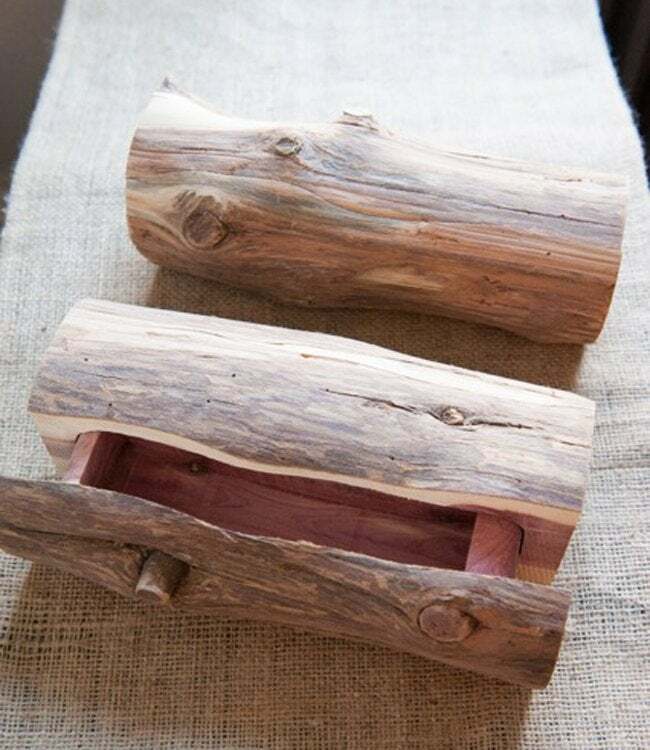 Jumping at any chance she gets to work with wood, blogger Stefanie of Brooklyn Limestone was obviously enthused when she had the opportunity to build this log box, perfect for hiding away favorite collectibles. Learn how to craft your own with her easy instructions below. 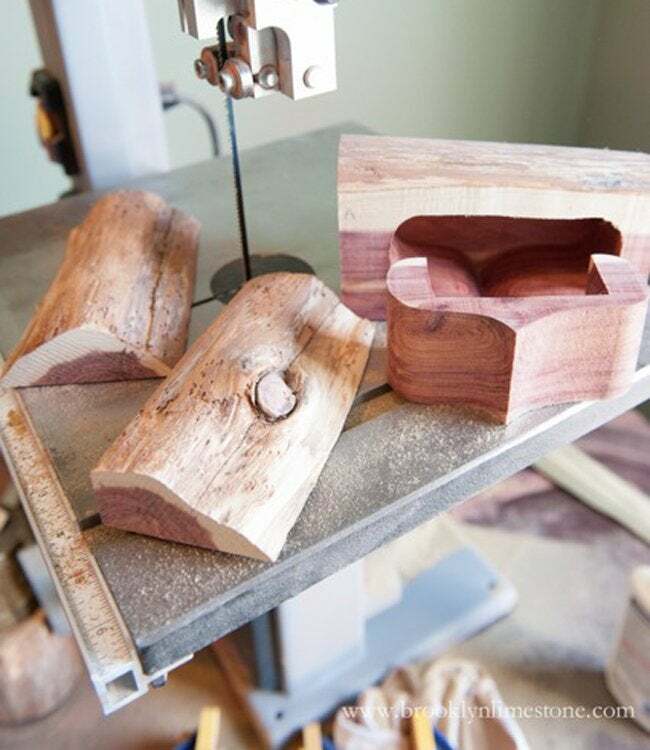 Find a log and cut it to the desired finished size. Slice off three sides of the log, leaving one rounded edge. Mark and set aside slices. Draw a conversation box on the log to mark the drawer, cut. 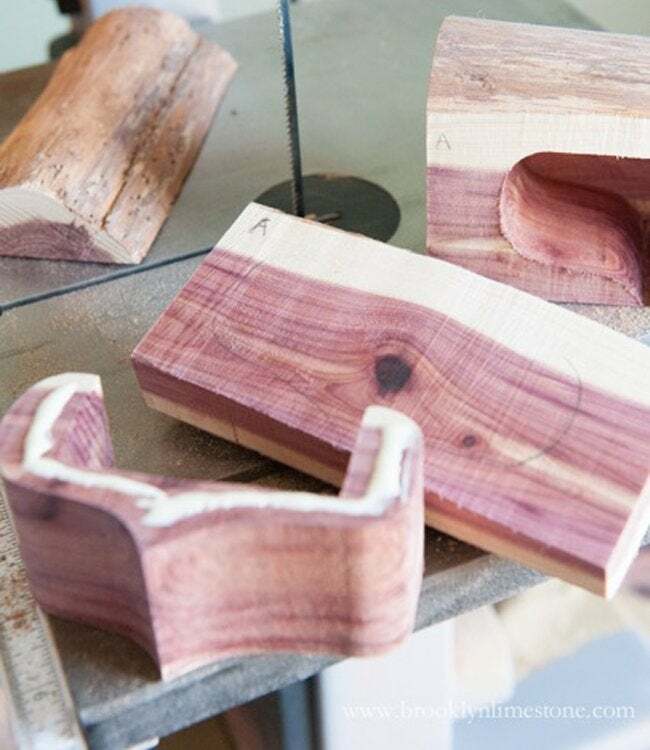 Cut out a slice to make the back of the drawer, set aside. Mark a rectangle on the cut out to hollow out the drawer. Cut and discard. Glue the back of the drawer to the hollowed out drawer base, clamp, and allow to dry. 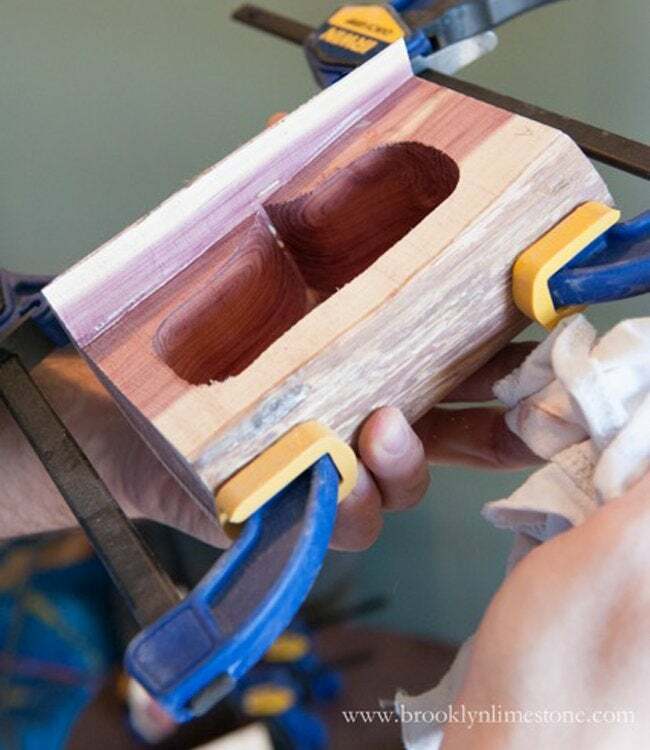 Glue the sliced back to the center of the log, clamp, and allow to dry. Once clamped pieces have dried, glue and clamp the drawer to the drawer front. Glue and clamp the sliced base, allow to dry. Slide the completed drawer into the open space and sand any rough spots if necessary. You now have a secret hidey hole for any of your tiny treasures! Thanks, Stefanie! For more great DIY ideas, visit brooklynlimestone.com.